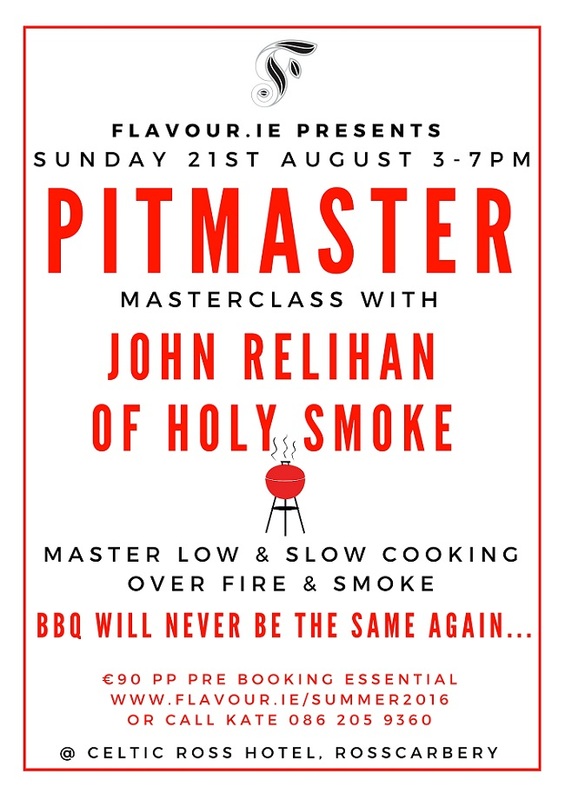 Master the art of low and slow cooking over smoke and fire this August chef John Relihan’s Pitmaster Masterclass at The Celtic Ross Hotel, Rosscarbery. The Pitmaster event is the last of the Flavour.ie Summer Showcase, a series of specially curated events for food lovers that brought together a unique selection of experts, chefs and producers in beautiful West Cork. 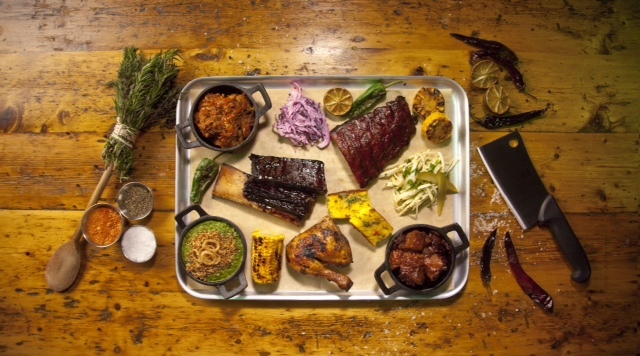 BBQ will never be the same again after attending the Pitmaster Masterclass with Ireland’s foremost Pitmaster, John Relihan, of the amazing Holy Smoke restaurant in Cork. John started his career under the apprenticeship of Jamie Oliver at his Fifteen restaurant. His talent saw him rise all the way to becoming Head Chef of Jamie’s Barbecoa restaurant in London. John has returned home to Ireland to launch his own smoke & fire restaurant in Cork City to much and worthy praise. John brings all his knowledge and skills with him to this Masterclass – the first of its kind certainly to Cork, and is a unique chance to learn from the master of his skill in Ireland today. John will take you through everything from getting flavour into your smoke and fire, to brines, rubs and marinades. The second half of the masterclass sees us step out of the classroom and into the fire pit! A specially set up outdoor cooking arena where John will demonstrate the perfect methods for cooking on grills, smokers and finally uncovering our pitroast that will have been slow cooking beautiful local meats for 24 hours. The whole event will culminate in an epic sundowners feast overlooking the Atlantic. The event is a 5 hour Masterclass and the cost includes all food and notes. Make an evening of it and stay at the Celtic Ross Hotel overnight for the special rate of €75 pps or €95 single B&B. Pre booking for this event is essential at www.flavour.ie/summer2016 where you can also find more information.